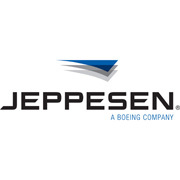 Jeppesen, a part of Boeing Commercial Aviation Services, today introduced a new structure for Mobile FliteDeck data subscriptions, to simplify the flying experience for general aviation pilots. Pilots using Mobile FliteDeck on iPad now have ten global coverage options for IFR navigation data services offered at a lower price point, including full U.S. coverage available for a $299 annual subscription. In 2013, Jeppesen launched Mobile FliteDeck VFR, the visual flight rules iPad solution for private pilots, including full U.S. VFR coverage with a $49 annual data subscription. Jeppesen Mobile FliteDeck for IFR flying provides pilots with enhanced data-driven navigation functionality to simplify complex procedures and make decisions based on enhanced situational awareness. Mobile FliteDeck eliminates paper-based flight materials and streamlines the entire flight process. Jeppesen also announced new features and functionality today for Mobile FliteDeck, including SID and STAR procedures on enroute charts, enhanced flight plan integration, and more. For more information about Jeppesen Mobile FliteDeck and navigation services data coverage options, please visit www.jeppesen.com/mobile.